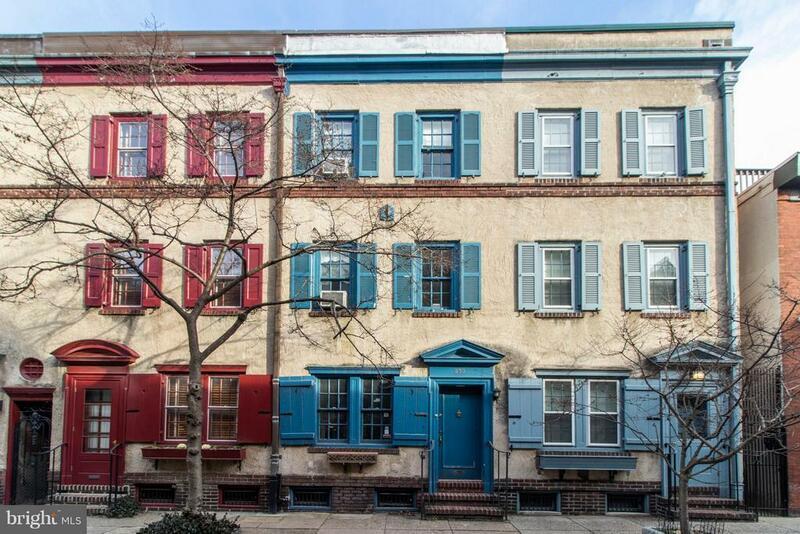 Amazing opportunity for a buyer to turn this clean, lovingly maintained, blank canvas in the heart of Rittenhouse Square into the home of their dreams. Located on one of the most iconic and beautiful streets in Philadelphia, this 1938 sqft, 4bed, 2bath home has been meticulously cared for and owned by the same family since 1959. 1st Floor: Enter into living room with working fireplace, through a sun-lit dining room overlooking the garden and into bright kitchen with access to rear garden. Perfect layout for entertaining!!! 2nd Floor: two large bedrooms and full hall bath. Front bedroom features working fireplace. 3rd Floor: two additional bedrooms and full sized hall bath. Tons of closet space throughout and large basement with private laundry room. This is a must see property! 3 working fireplaces!! Van Pelt Street is located between 21st and 22nd streets, between Locust and Spruce.